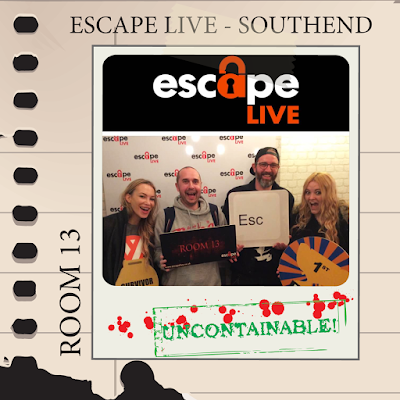 Being so close to home, Escape Live Essex was a welcome discovery with two appealing rooms, both to challenge our ever-evolving detective skills, one enticing our partiality to a sinister undertone. So it was decided, we’ll play both rooms while on a day’s jaunt to nearby Southend-On-Sea. 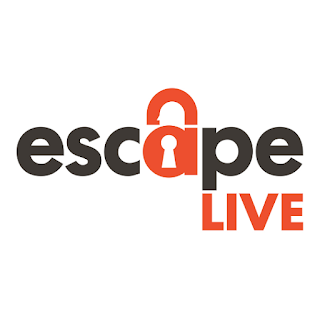 Escape Live Essex is ideally located just a stones throw from both the seafront and the train station, with ample parking nearby, and a top class smokehouse and grill called Mange Tout to satisfy you hunger after making your escape, only thirty seconds away. Upon arrival to Escape Live, the charismatic Robbie, who, after we had a genuinely pleasant chat, announced that he would be our games-master. He instructed us of the rules and handed us a walkie-talkie in delegating a team member to be in charge of communications, he then handed another the all important pen and paper on a clipboard before leading us into Room 13 where our escape began. 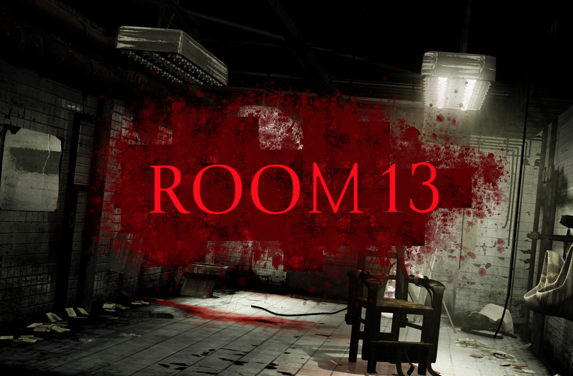 As fans of horror, Room 13’s plot really appealed: We are the only hope for Amy, who is locked in a room reliant on our wit and skill to get her out alive by piecing together clues, solving puzzles and finding objects to uncover the four digit code needed to release her (& us!) in just sixty minutes. Despite it’s 13+ age recommendation, Escape Live Essex does a skilful job in making the room accessible to most, teetering on the edge of horror just enough to still comfortably accommodate slightly younger players or those of a nervous disposition who shouldn’t find the space or game play too unnerving. Having said that, the set was incredibly realistic. We sincerely felt as though we were transported to a hospital room, the attention to detail being second to none. Not only was it convincingly decorated to a high standard but also the well-sourced selection of props - including a real hospital bed - really enhanced our ability to effortlessly immerse ourselves in the game. The puzzles were a mixture of complexity, most logical without any tedious tasks to undertake - our favorite kind of room to play. The inclusion of some great audio additions and puzzle styles we’d yet to see elsewhere elevated the room away from being just another generic escape offering the usual succession of codes, locks and keys. It’s worth mentioning here that the use of a walkie-talkie, where not so successful in other games that have played, worked really well in this scenario. The seamless flow of clever multi layered puzzles, all of which correlate with its plot, kept the team working well together without any of us ever feeling sidelined or excluded. We would like to highlight our respect for Robbie, our games master, who's input and attentiveness really added to our experience. Robbie refused to provide a clue when he could see we were close to completing a puzzle, which only served to add to our sense of accomplishment upon finding resolves for ourselves without any pointers. In fact, the two rooms we played at this venue provided us with top quality games masters who’s sincere investments in our games both positively added to our time at Escape Live Essex. Another standout element of Room 13 was the visuals of the countdown screen, which further attributed to its horror-centric theme, adding additional pressure to our time constraint and sense of urgency to save Amy! The push in tension at the finale was another major highlight and we really enjoyed the fact the game involved us exiting the room in a psychical sense by unlocking a door to escape. Which strangely enough is quite a rarity in other escape games we’ve played. Room 13 surpassed our expectations with it’s quirky multi faceted puzzles and it’s meticulously dressed set, made all the better by the inclusion of our faultless games-master Robbie. We personally also can’t wait to also try Escape Live Essex’s new offering which is due to be unveiled and opened imminently. Its on doctor’s orders that we highly recommend you too admit yourselves to Ward 13. The prognosis is very, very good!